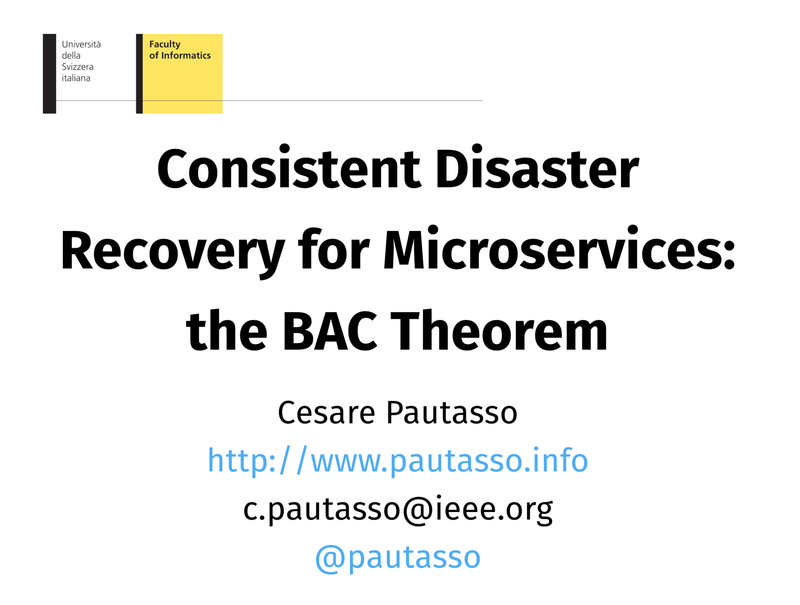 Pardon, G., C. Pautasso, and O. Zimmermann, "Consistent Disaster Recovery for Microservices: the BAC Theorem", IEEE Cloud Computing, vol. 5, issue 1, pp. 49-59, January/February, 2018.